How Many Makeup Brushes Are Too Many? 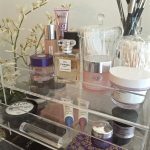 Makeup brushes deserve their own post simply because they can quickly become bathroom clutter if they do not have a home of there own. 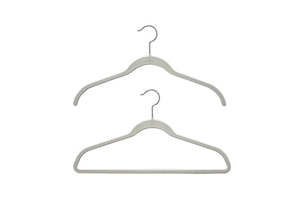 How many do you really need? I don’t think there is an exact number and all your brushes do not have to be the most expensive but everyone needs a few basic good quality brushes. 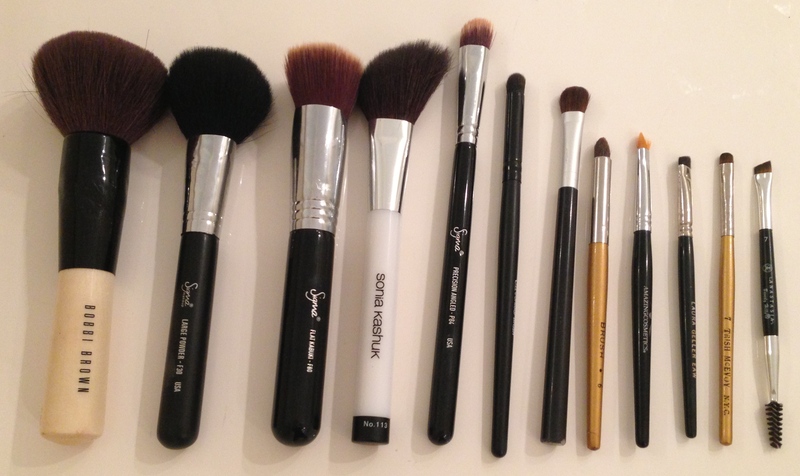 Purge all makeup brushes you never use or any that are in bad shape. 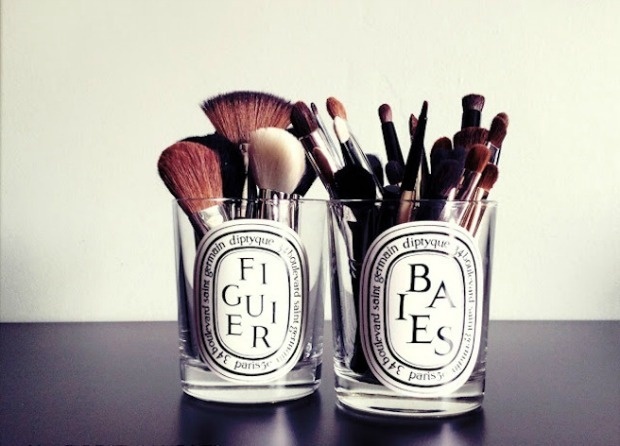 Keep your brushes in decorative containers that you can leave out for easy access. 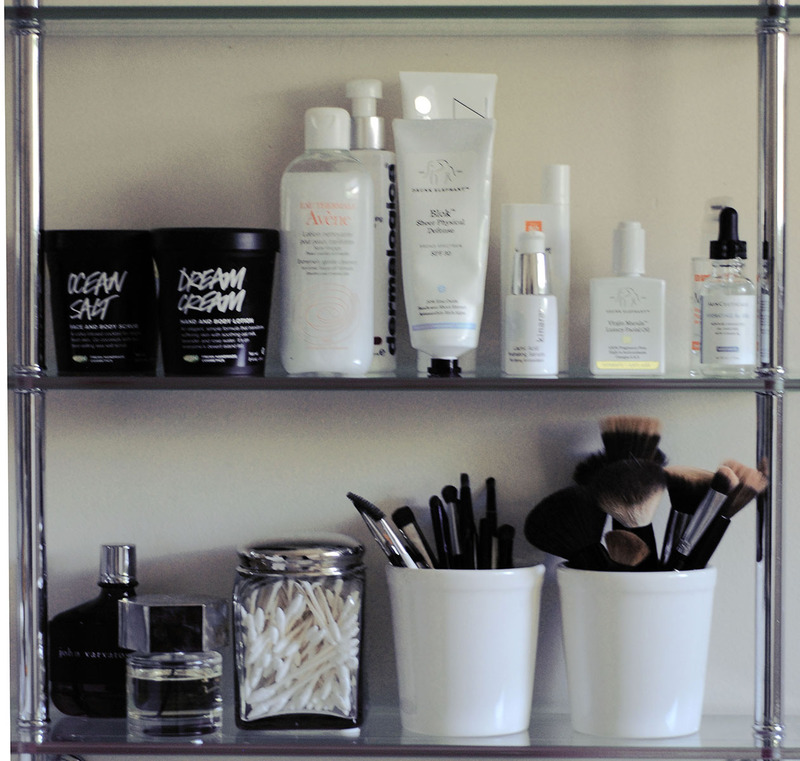 This will keep your make up routine simple and organized. 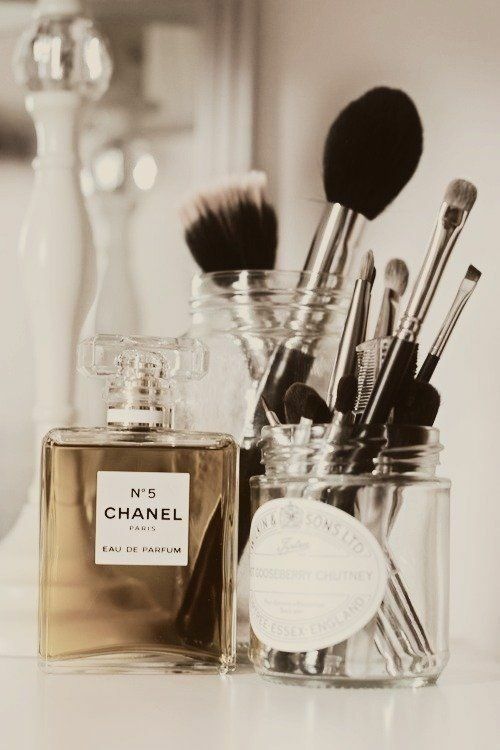 This post would not be complete without mentioning how important it is to clean your makeup brushes. Beauty guru Bobbi Brown gives a simple step by step on how to clean your makeup brushes in Allure magazine.